We are a green company by using the right tools for the right jobs. Taking meticulous care of all our power equipment which are much much more emission free. By keeping our mowers and other equipment tuned up and running at op notch we eliminate thousands of lbs of CO2 into the atmosphere. Our machines run much more efficiently than do homeowner models. 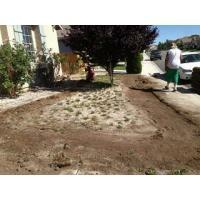 Our promise is to not only clean up and maintain your yard, we want to save our planet. ALL DEBRIS and YARD WASTE GO TO A LOCAL COMPOSTING PROGRAM!! Time to LOVE YOUR LAWN!! 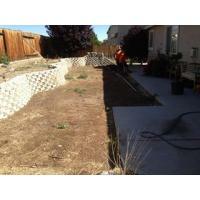 DEFENSIBLE SPACE- are you FIRE ready?? 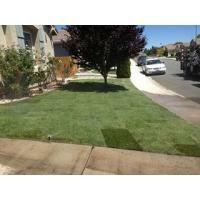 We are a full service lawn company!! 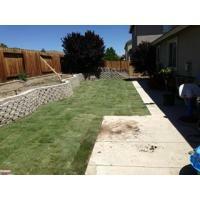 We offer everything you need for a nice green lawn! Irrigation maintenance and repair, Thatching, Aeration, Fertilization programs, General yard cleanups, Weekly and bi weekly mows! !